What are the finest tools to educate kids about coding or programming in a fun way that will consistently coach them new technology skills that they will need for their future jobs? With our soaring dependence on technology, coding has evolved from a niche pursuit to a vital skill. Coding has become a crucial component of today’s learning structure. The ability is no more just restricted to the programmers and web developers but is a key skill that should be learned and acquired by people in all age groups, whether adults or kids. On the bright side, coding does not need to be boring or intimidating, with the help of these entertaining and educational apps, your kids will surely define coding a fun-filled activity. 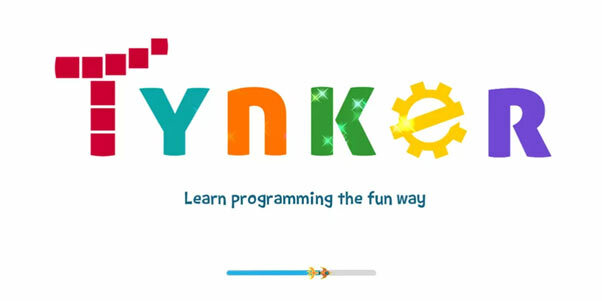 With Tynker, children can make their game (RPGs, arcade, etc. ), program drones and robots, and even create their mods for Minecraft. The game has an intuitive interface and an objective-based setup that makes coding entertaining for children in elementary and middle school levels. Tynker is available on both Android tablets and iPad, and with the help of TynkerTube, kids can watch their creations in action. Available on iPad for free, Bee-Bot app inspired from the popular Bee-Bot floor robot, enables kids to learn the fundamentals of programming at different levels easily. Children who learn to code can utilize this app and be sure about their enhanced programming abilities and improved skills in problem-solving as well. The app utilizes the Bee-Bot’s keypad functionality and enables children to enhance skills in directional language and programming by series of backward and forwards, right, left, and even 90 degree turns. The game has a total of twelve encouraging stages of progression, where every level has a timer, and the quicker you finish, the more stars you obtain. A lot of kids spend time playing habit-forming games on their mobile phones, and while a few of them are complicated, many were easy to make. That is where Hopscotch shows up. Through Hopscotch, young children can make their iOS games for iPad and iPhone with an incredibly simple drag-and-drop interface. Starting from mini-games to top-down shooters, multiplayer games, similar experiences to Minecraft, pixel art, automatic runners and even personal sites. 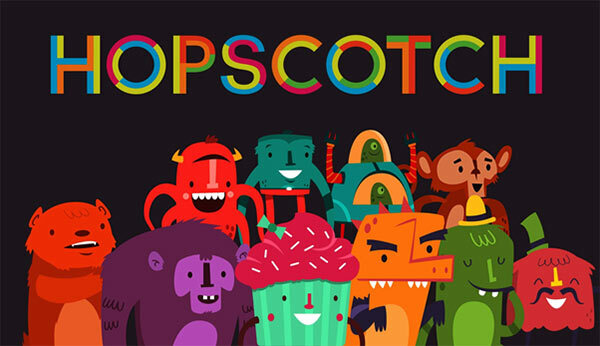 The Code Camp provides children a collection of tools to work, and if you want to utilize external images and assets, Hopscotch presents a subscription fee of seven dollars every month. The game offers a basic groundwork for coding logic without impeding your kid down with complicated rules or proper programming syntax. Hopscotch is best for kids between ages nine and eleven. Daisy-the-Dinosaur is a free app that provides an excellent introduction to programming for children and is only accessible on iPad. With only elementary functions available, the app is easy to use and only has a dinosaur that moves. Daisy the Dinosaur app educates kids the fundamental of coding in such a way that even a four-year-old child can understand. It educates basics such as loops, conditionals, and utilizes regular words to move and direct Daisy the dino in whatever way they want. Children can make daisy move, shrink, turn, spin, roll, jump based on the type of program they make. Minecraft is a very popular game, and its sandbox style makes it very flexible. Although the game is not specifically intended for children, Minecraft and its age-friendly aspect greatly propose a safe setting for programming. Lifehacker even presents a guide for the parents to play Minecraft with their little kids. Other mods particularly aim at children like the LearnToMod modifications which teaches and treats them in their interests and needs. The only disadvantage of the game Minecraft is that it is not initially set up for young players. Adults may require finishing a bit of primary set up. On the bright side, once created, LearnToMod offers a bunch of knowledge in programming that is very easy to master. There is also a promising and robust online community. Compared to the other applications, Minecraft is more costly. However, it holds plenty of assurance with its fun tutorials which nurture actual programming skills. The Minecraft Pi is a great method to get children modding in Minecraft. What makes the game great? It is because of Mods like the LearnToMod modifications that teach kids the actual coding skills with lessons. Coding must not be limited to those who desire to chase their careers in the same industry, but it is also vital for children as they figure out how technology can transform teaching and learning. Studying how to make fresh things will make the future generation equipped with flash creativity and improved rational thinking.